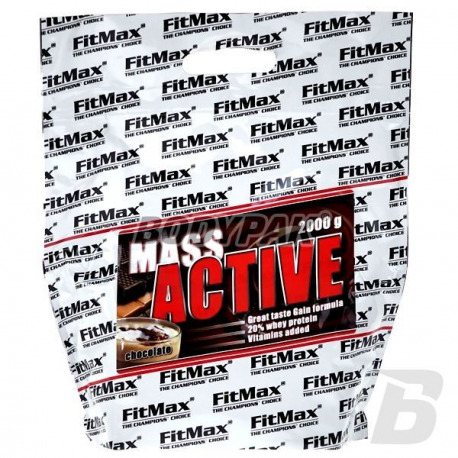 FitMax® Mass Active - is a nutritional product of pure muscle mass, which consists of: complex carbohydrates with different glycemic index, high quality protein derived from instanizowanych isolates and whey protein concentrates, containing a large amount of branched chain amino acids, and the most important amino acid in sport - glutamine . 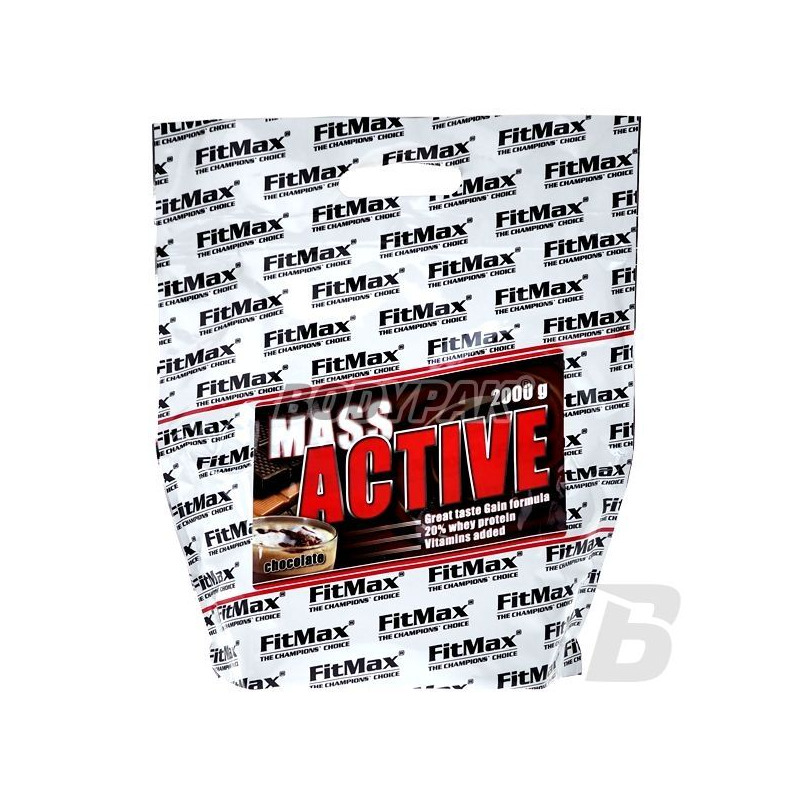 One serving FitMax® Mass Active provides the body the necessary vitamins (~ 40-80% of the daily requirement per serving!) And minerals. The product is intended for people who want to achieve a significant and rapid weight gain, as well as to rebuild glycogen stores after strenuous exercise. In order to achieve better effects can be used simultaneously with FitMax® Creatine and Amino FitMax® 2000. Ingredients: Maltodextrin niskocukrzona, ultrafiltered whey protein concentrate cocoa 3% chocolate aroma and a vanilla cream - in accordance with the natural fat gms, citric acid - acidity regulator, vitamin premix (mixed tocopherols - vitamin E , Thiamine HCL, Riboflavin, Pirodoksyna HCl, folic acid, niacin, pantothenic acid, ascorbic acid, Vitamin B12, Biotin), E951- E950, and sweeteners. Polecam dla oszczędnych. Dobrze wydana kasa.